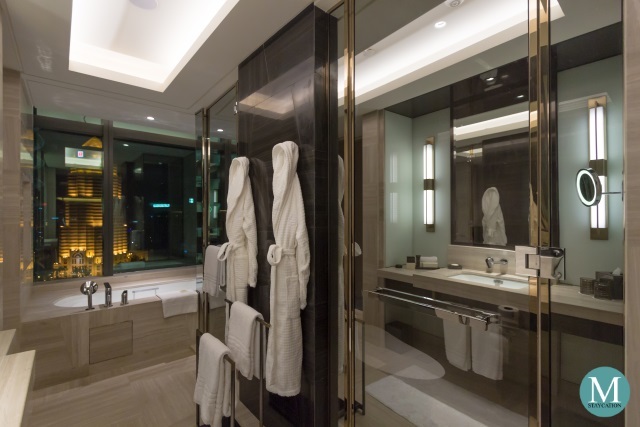 Four Seasons Hotel Kuala Lumpur (吉隆坡四季酒店) is the first luxury city hotel property of Four Seasons Hotels & Resorts in Kuala Lumpur and is the second property in Malaysia after Four Seasons Resort Langkawi. 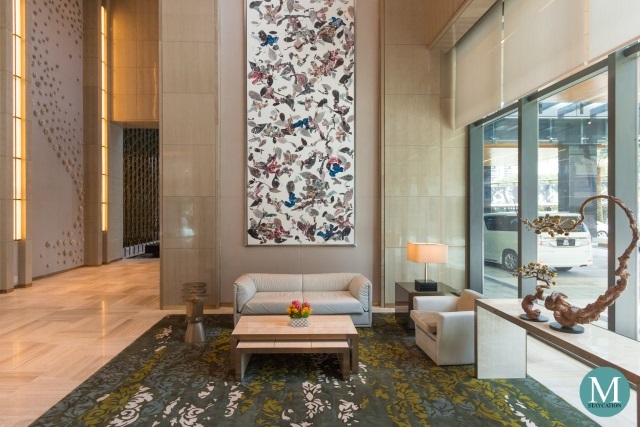 Four Seasons Hotel Kuala Lumpur forms part of Four Seasons Place Kuala Lumpur, a mixed use commercial and residential building located in Kuala Lumpur's Golden Triangle district standing right next to the Petronas Towers and KLCC Park. Four Seasons Hotel Kuala Lumpur occupies the lower floors of the Four Seasons Place Kuala Lumpur. 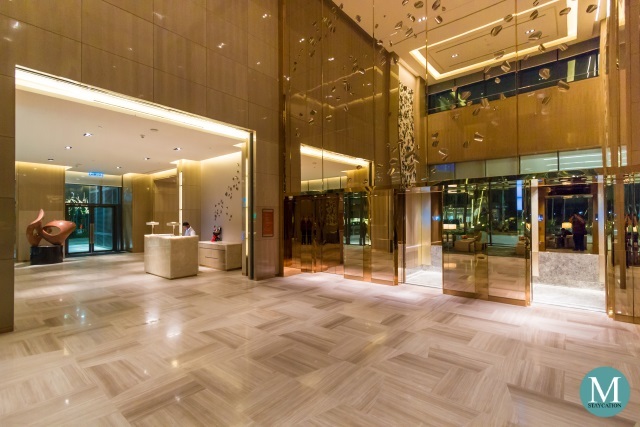 The welcome lobby is located on the ground floor and is accessible via the driveway facing the KLCC Park. 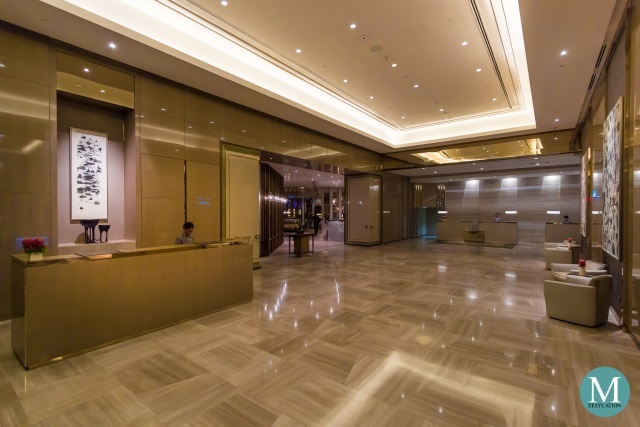 Guests checking-in will be assisted to take the elevator to level 6B where the reception lobby is located. Checking-in was a breeze. After signing the guest registration form, my room key cards were immediately issued and I was assisted by one of the staff to my room. I was also told that my bags were already sent to my room by the concierge. While taking the elevator to the floor where my room is located, the front desk staff was orienting me about the hotel facilities that I can enjoy during my stay and pointing to me the floor where they are located. I was also told about the schedule of the buffet breakfast and the direction of how to get to the restaurant from my room. 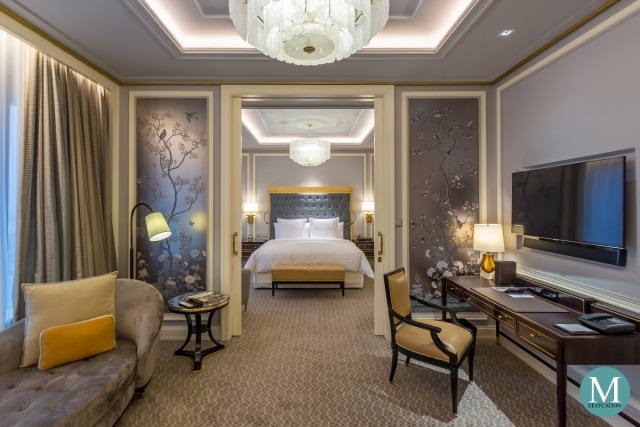 Four Seasons Hotel Kuala Lumpur has a total of 209 opulent guestrooms and suites located from the 8th floor to the 18th floor of the building. 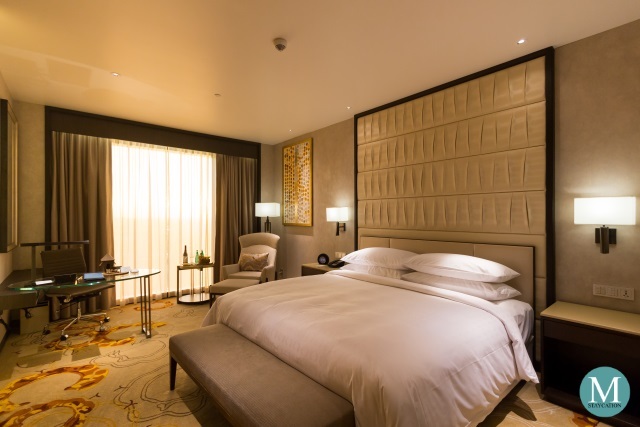 Guests staying at Four Seasons Hotel Kuala Lumpur do not only enjoy spacious and luxurious accommodations, but they are also treated with some of the best views of the city skyline and of the KLCC park and fountain. 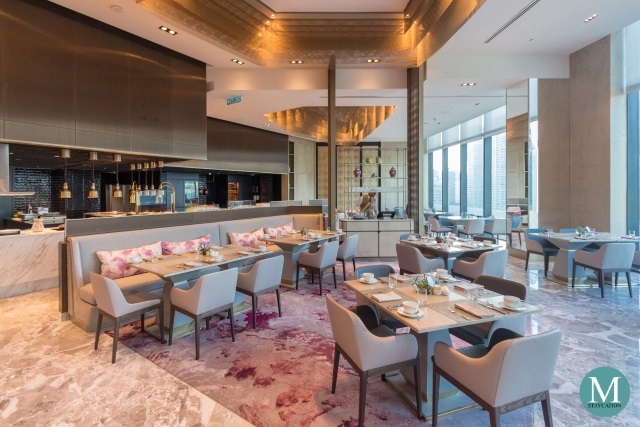 Four Seasons Hotel Kuala Lumpur opened in July 2018 making it one of the newest hotels in Kuala Lumpur. 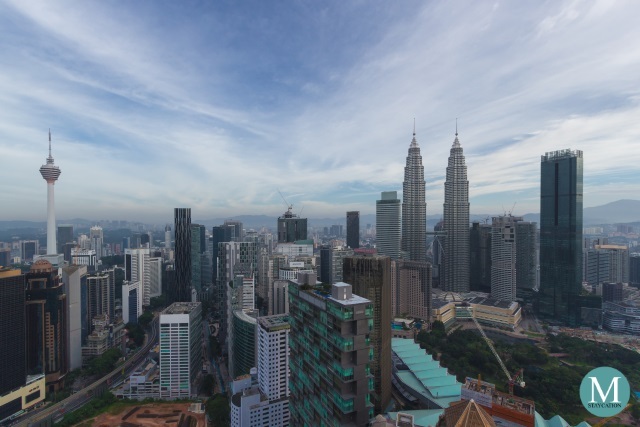 I have been waiting for this property to open, and fortunately, my recent visit to Kuala Lumpur was scheduled only two weeks after the hotel opened. 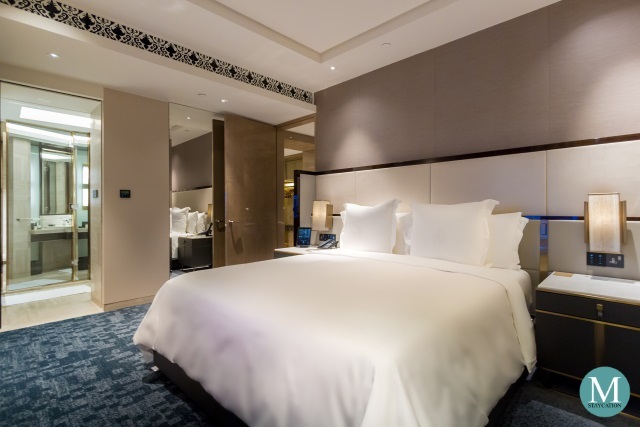 I stayed in a Park View Junior Suite which is the lead-in suite category of Four Seasons Hotel Kuala Lumpur. It features a separate bedroom, a separate living area, and a full marble bathroom. 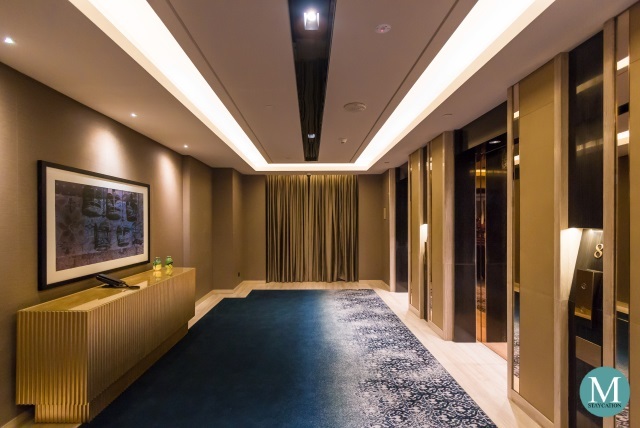 The suite is also located in one of the corners of the building facing the KLCC park and fountain. 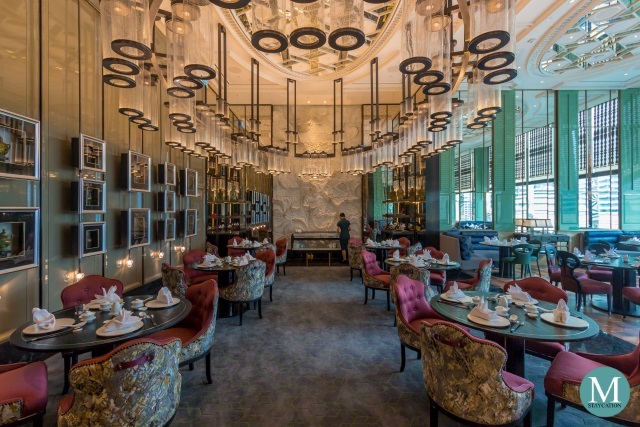 Four Seasons Hotel Kuala Lumpur has assembled a team of culinary experts with years of experience in other Four Seasons Hotels & Resorts properties to bring the very best of international dining through its six dining outlets. 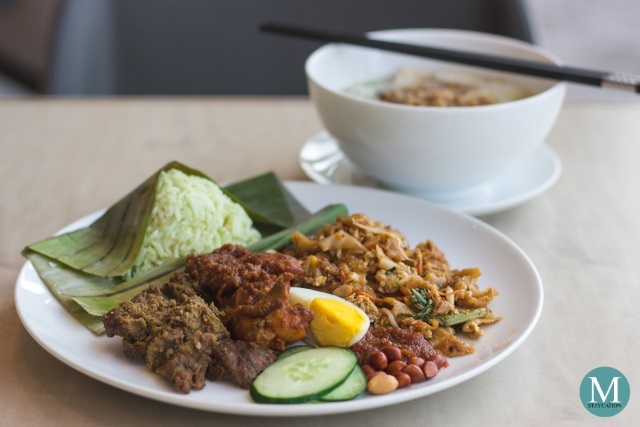 All dishes served at Four Seasons Hotel Kuala Lumpur are pork-free. 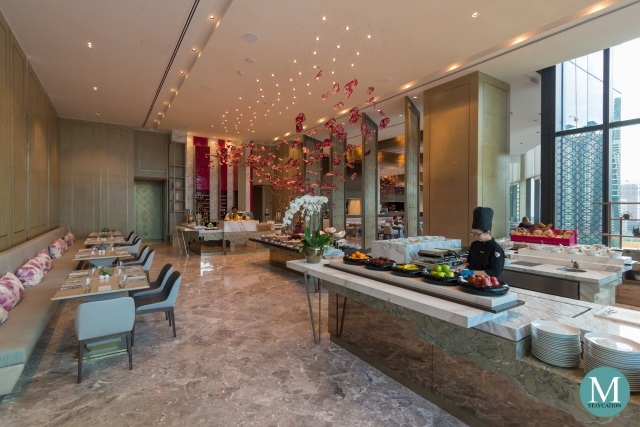 Whether on a business trip, holiday or a weekend staycation, guests staying at the Four Seasons Hotel Kuala Lumpur can choose a breakfast venue that best suits their daily schedule, dietary plan or personal lifestyle. 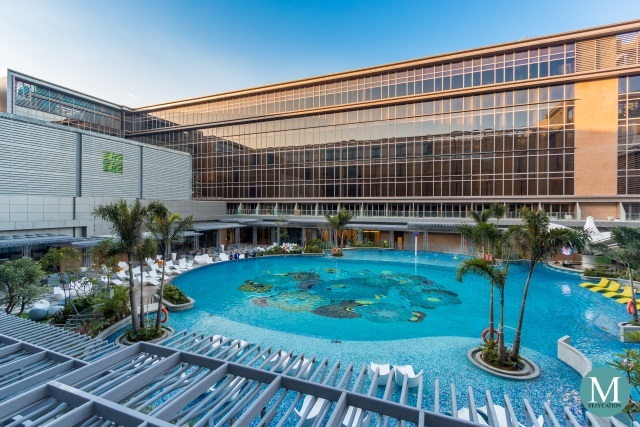 With only 209 guestrooms and suites, the hotel's outdoor swimming pool does not get very crowded. During my stay at Four Seasons Hotel Kuala Lumpur, I was the only one at the pool between 9:00am to 10:30am. 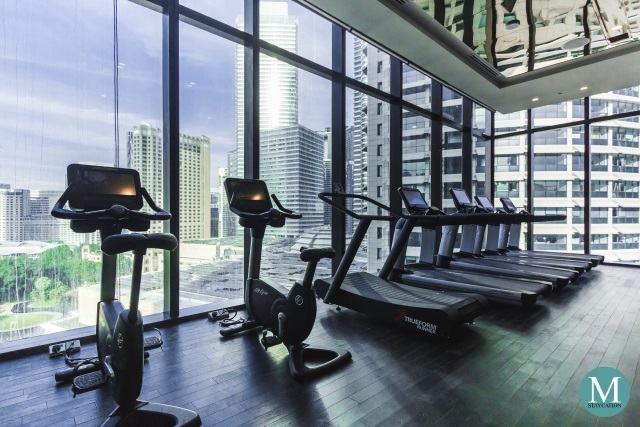 Guests staying at Four Seasons Hotel Kuala Lumpur also enjoy complimentary access to the hotel's 24-hour fitness center. It is equipped with the latest treadmills, work-out machines and free weights. 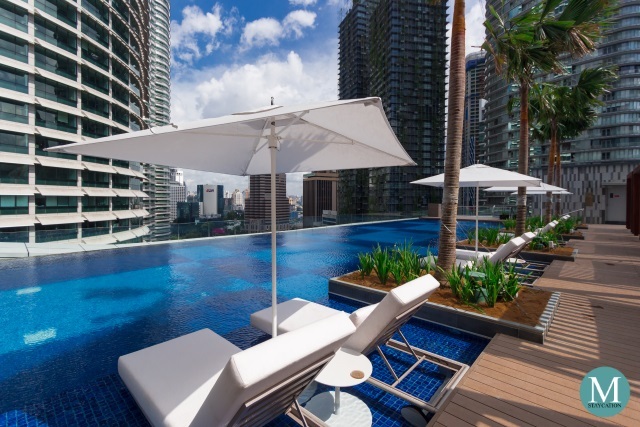 This is perfect for business travelers who wish to keep physically fit during their stay in Kuala Lumpur. Guests who wish to jog in the outdoors can easily access KLCC park from the hotel. The park is a popular jogging place for residents of nearby condominiums and business travelers staying in adjacent hotels. 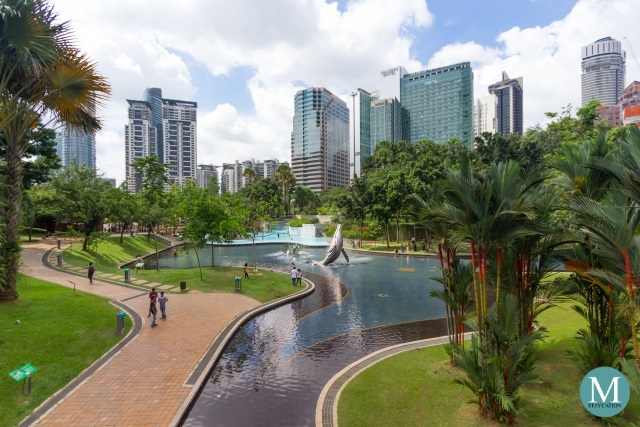 KLCC park has an extensive network of jogging and bicycle lanes covered with towering trees. 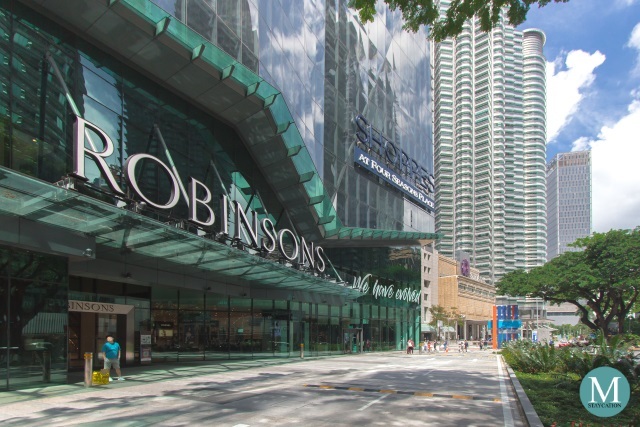 Shoppes at Four Seasons Place is the commercial and retail segment of Four Seasons Place Kuala Lumpur which houses boutique stores, cafes and restaurants. 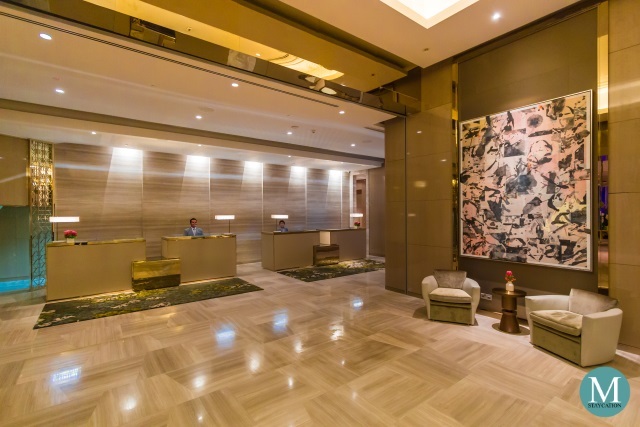 It is directly accessible from Jalan Ampang and is connected to the hotel's welcome lobby. 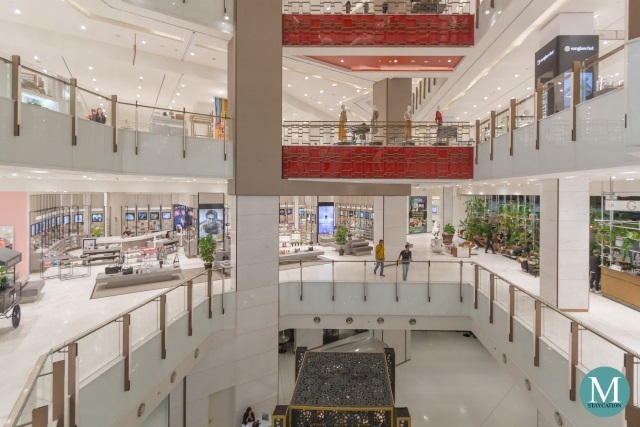 Robinsons occupies four floors of retail space featuring luxury brands of clothes, shoes and accessories. There is also a Starbucks Reserve branch on the ground floor facing Jalan Ampang. 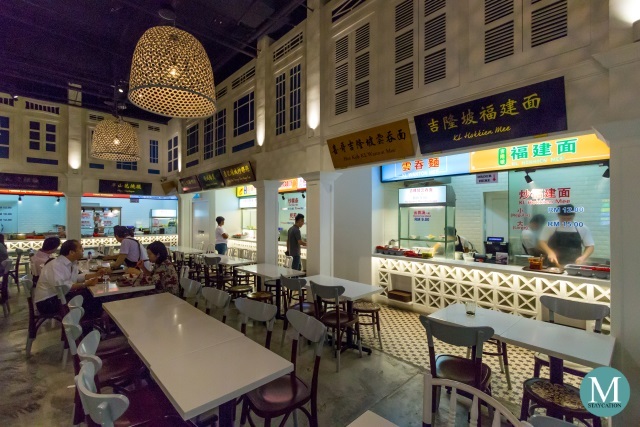 The basement level houses a number of cafes and restaurants, including Malaysia Boleh which is a food hall concept from Singapore which features classic hawker style dishes from Kuala Lumpur, Penang and Ipoh. 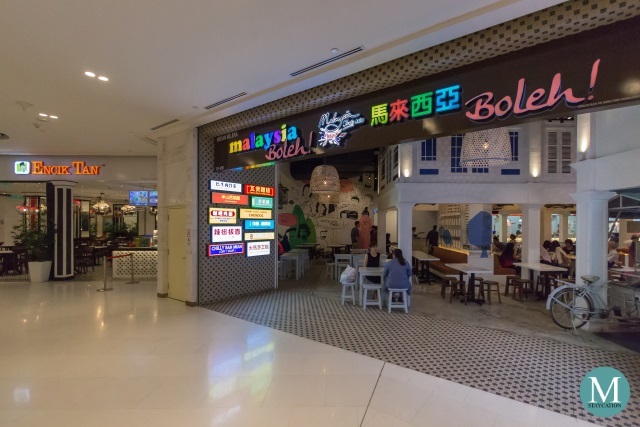 Some of the dishes that you can find at Malaysia Boleh are Curry Chicken Noodle, Ipoh Buntong Bean Sprout Chicken, Kalang Bak Kut Teh, Claypot Chicken Rice, Fried Chicken & Nasi Lemak, Hokkien Mee, Prawn Mee, Laksa, Fried Oyster, Char Kuey Teow, Carrot Cake, Teh Tarik and Cendol. I love staying in newly opened hotels because I feel that I have become part of its growth. 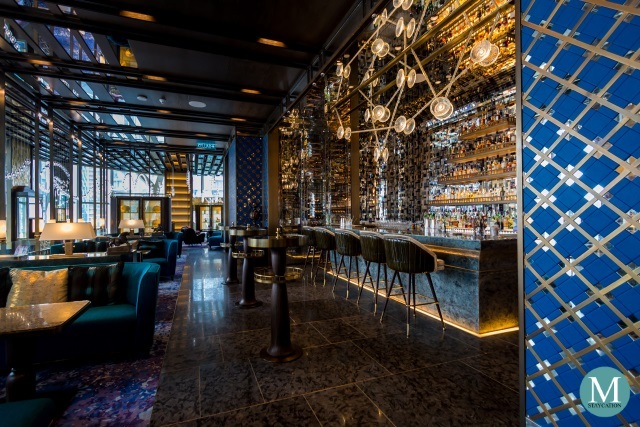 This connection becomes a personal bond of belonging that makes me want to visit and revisit the hotel, seeing it mature and become successful. I am very pleased to have stayed at the Four Seasons Hotel Kuala Lumpur during its first month of operation. It will certainly be a home for me when I visit Kuala Lumpur. 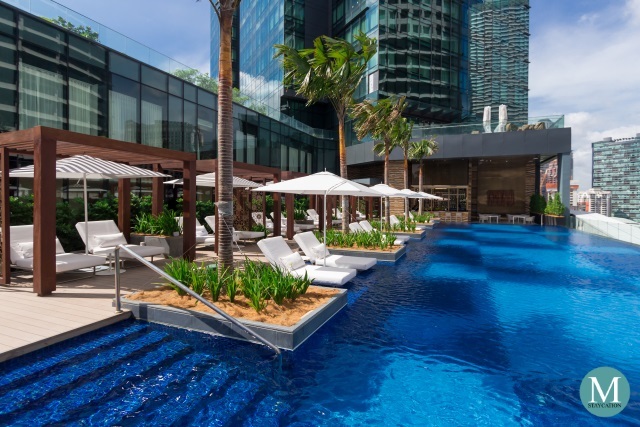 Four Seasons Hotel Kuala Lumpur is located some 57 kilometers from Kuala Lumpur International Airport, the main domestic and international gateway to Kuala Lumpur. 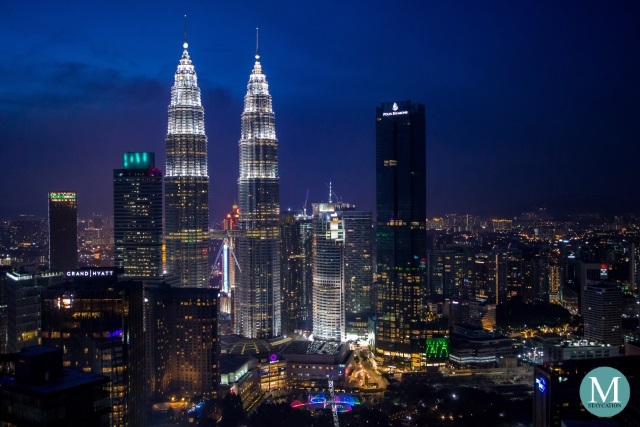 Domestic Flights - Malaysia has an extensive network of domestic flights to Kuala Lumpur from major cities around the country, including Penang, Kuching and Kota Kinabalu. Airport Transfer - the most convenient way to get to the hotel from the airport is to book the hotel's limousine service with rates starting at MYR 210.00 (one way). Alternatively, guests may also use the Grab ride hailing application. Fare from the airport to the hotel will range from MYR 80.00-100.00. Lastly, guests can take the KLIA Ekspres from the airport to KL Sentral (MYR 55.00) and from there, guests can take a taxi or a Grab to the hotel (MYR 15.00-20.00). Moving Around - the most convenient and reliable way to go around Kuala Lumpur is to take the Grab. Fares are relatively lower in Malaysia compared to most countries in South East Asia.